The second generation Mercury Eight was first introduced in 1941 with bodyshell shared with the '41 Ford and flathead V8 power. The design was frozen during the war and emerged back in 1946 with a revised grille, but the same reputation for being fast and fun. 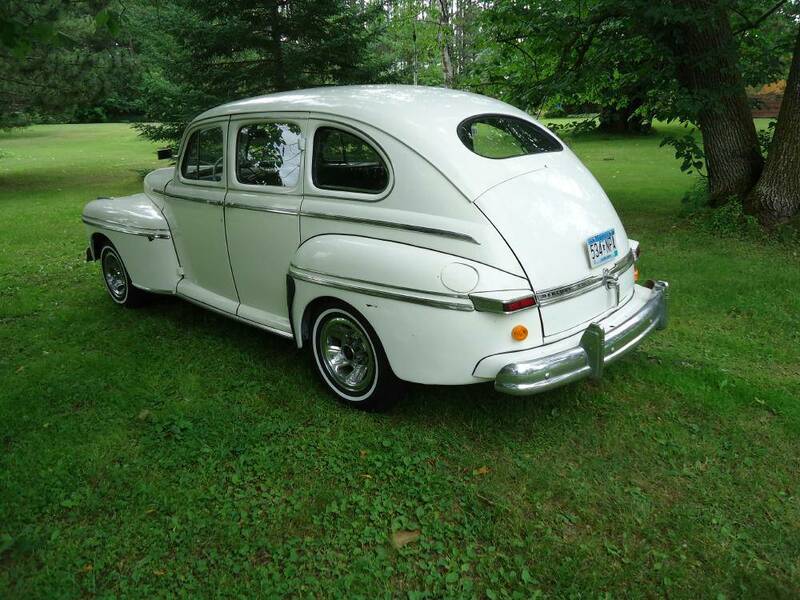 Find this 1946 Mercury Eight Sedan offered for $6,500 in Norther MN via craigslist. This post is part of DT's 2016 Birthday Celebration of 100 cars; enjoy the ride! 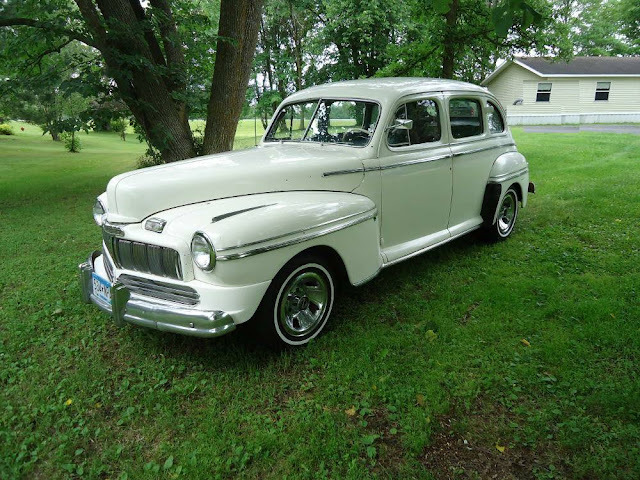 This Mercury Eight was given a frame-off restoration around the year 2000, but the paint is showing some age and the interior needs some reconditioning. However, it doesn't look like a bad for the asking price and (according to the seller) it drives, goes, and stops like a '46 Mercury should. Gosh that's a really big volvo!